Time has come for all Sri Lankan people to come together to defend the sovereignty and independence of their mother country. People of Sri Lanka have a historic role to play at this juncture. The need of the hour is to mobilise all democratic and anti-imperialist forces to compel the Sri Lankan Government to start implementing their own home grown policies, LLRC recommendations and their election pledges with courage, conviction and with a sense of urgency because it is already long overdue. This is the one and only way to prevent the western powers, especially US, from poking their fingers into the internal affairs of Sri Lanka. It is the only sure way to safeguard and preserve our sovereignty and independence. Demanding the implementation of the pledges given to the Sri Lankan people by a popularly elected government is an act of “constructive” patriotism. The government has now to demonstrate that they can perform and live up to the expectations of the Sri Lankan people, who gave a clear and overwhelming mandate to deliver their election pledges. Failure to act will only serve imperialism and their stooges. The Sri Lankan people will not take such a historic precedence kindly. The government must strengthen its position and its credibility by fast tracking the political processes to avoid (a) the return of a pro-imperialist UNP government in coalition with TNA and (b) giving the opportunity for US to activate the American agenda of regime changes on the Indian sub-continent, which will end democracy in South Asia and create several Pakistans. The failure of a popularly and democratically elected government to deliver its own policies and pledges to its people and to fulfil its international obligations has lead to a UN resolution compelling Sri Lanka to implement the recommendations of the LLRC, which was set up by Sri Lankan Government itself. Thanks to the politically astute intervention by India at the UN to prevent US attempts under the pretext of “human rights violations and war crimes” to get a foothold in South Asian Politics in the same fashion as they did and are still doing in the Middle East, which cannot be tolerated by any democratically elected government. India has done a good damage limiting exercise by helping to dilute the US resolution, which now requires Sri Lanka to do what it should have done as a matter of course i.e to implement its own policies and pledges it gave to the Sri Lankan people. This is a good and friendly wake up call to Sri Lanka to prevent America trying its regime change policy on democratically elected governments in South Asian countries. Our response to this must be a categorical NO. Sri Lanka is neither Iraq nor Libya. It has a very long democratic tradition like India. It must remain so and no Sri Lankan would want to see an American instigated regime change in Sri Lanka like the one in Indonesia in the sixties, where the dictatorial regime of Suharto was installed through a coup arranged by the US, or recently in Iraq and Libya. Such attempts will be and must be resisted by the Sri Lankan people – Sinhalese, Tamils and Muslims alike. It is not sufficient for the government and their supporters to sloganise about Imperialist interference and Sri Lanka’s sovereignty. We are not just citizens of Sri Lanka. We are citizens of the “Democratic Socialist Republic of Sri Lanka”. Therefore the people have the legitimate right to uphold these 3 elements – democracy, socialism and independence. They rightfully expect the implementation of the policies and promises on which they elected this government to power. None of the political pledges given at and since the last general election has been implemented to date – APRC proposals, 13th Amendment, 18th amendment (good governance, judicial independence, democratic accountability etc. ), constitutional change to remove executive presidential rule, demilitarisation, release of displaced people’s homes and lands on which high security zones are still operating even after the war ended, implementation of the language act, the implementation of the LLRC recommendations and so on. The UN resolution is a kind one and not a harsh one, which simply requires Sri Lankan government to implement its own pledges to its people. It is true that the LTTE has been militarily defeated but they have not been politically defeated. Political problems require political solutions, which are missing. Organisations like the LTTE must be politically defeated through the democratic process. The LTTE tree can re-grow if this is not done. It is around the unresolved grievances of the Tamil and Muslim Communities, that the Tamil Armed Liberation Groups, including the fascistic and terroristic LTTE, arose and escalated the conflict into a full blown dirty and bloody war, which continued over 2 decades with unacceptable levels brutal killing of civilians, soldiers and fighters and also displacement of people on a scale Sri Lanka has never witnessed before. The root cause of this devastating war has not yet been addressed to date by any government. This situation is not only unacceptable for all communities but has become a nourishing ground and a good excuse for western imperialist powers to poke their fingers into the internal affairs of Sri Lanka. What is significant in this development is that for the first time in the history, India has voted with the US on a resolution on Sri Lanka in an international forum, which is naturally hard for Sri Lanka to accept and come to terms with. We see this from the off the cuff and not well thought out speeches by some ministers, which is very unfortunate. What is required is a politically sophisticated and well-articulated response exposing US’s intentions, slavishly supported by expatriate LTTE knaves. I have no doubt in my mind that this resolution is in the long-term interest of Sri Lankan people. Sri Lankan Government must go through a process of self-criticism of what they have done during the last stages of the war and what they failed to do in the post war period to date. This assessment should be the basis to shape the programme of the present Sri Lankan Government. In such a programme there should be arrangements to engage all communities and parties, not just only the parties in the government coalition. Return of civilian rule and implementation of LLRC recommendations are matters of utmost urgency. Naturally India was against any direct intervention by the west in the internal affairs of democratically elected Sri Lanka and therefore threw a lifeline to Sri Lankan Government to avert such a scenario by means of a clever and statesman-like amendment requiring Sri Lanka to manage its own affairs through the implementation of its own LLRC recommendations. Failing to implement the LLRC recommendations will only plunge Sri Lanka into deeper crisis by triggering further UNHRC resolutions, possibly leading to economic sanctions against Sri Lanka. The opposition parties, including TNA, must refrain from any acts of derailing the implementation of the UN resolution and must engage with the government constructively in this process in the national interest. They are equally responsible and implicated in creating all the problems confronting the Sri Lankan people today. They cannot escape from their responsibilities in this task. Collusion with US for regime change for their political gains will be a betrayal. Therefore this should not be in the agenda of the opposition parties and TNA. The eyes of the international community are now not only focussed on the Sri Lankan Government’s efforts in implementing the LLRC recommendations but also on the behaviour of the opposition parties. Inciting communal violence by the opposition parties, as has been the practice of the opposition parties in the past, to frustrate the implementation of the political processes by the government will not be rewarded on this occasion. The government will receive international backing as long as they drive the LLRC implementation programme courageously. In this sense it is a unique opportunity for President Mahinda Rajapakse to put the country in the right direction, regain his reputation and consolidate his government. Government and opposition political parties must not miss this golden opportunity, for correcting past errors and for moving forward. Can President Mahinda rise above mediocrity to create history, which all previous presidents failed? Mr. Sooriyasekaram is daydreaming about Mahinda Rajapaksa “regaining his reputation.” Those who “white van” political activists (and other people who have nothing to do with violence), torture and kill them–let alone the war crimes in the Vanni in the murders of thousands of innocents–have irreversibly defined themselves as criminals who need to be given the appropriate punishment. Their claims of having been democratically elected is irrelevant; if any elected member of the US Congress indulges in criminal behavior, he/she faces justice, and if the president of the US indulges in criminality, he will be impeached, in addition to facing other possible punishments. Slogans invoking ‘imperialism” won’t wash when the regime has shown itself to be brutally, sordidly, atrociously, unforgivably, implacably evil. The only solution when confronted with such evil is to find ways to remove it, and if Americans can help with that, it is by all means welcome. Mr.Sekaram should know that, after all that has happened in Sri Lanka, his shibboleths about imperialism will have no takers. And he should know that, dismissing all those who supported the US resolution as “expatriate LTTE knaves,” is the kind of pandering to racists among the Sinhalese that will in no way help with reconciliation in Sri Lanka. Thank you for the good laugh. You have a bright future in the comedy industry. Have you seen how elections take place in Sri-Lanka and India? In India, politicians for the most basic seats in the even lowest rungs of governance buy votes. If you want to join any party in any state and run for a seat, the first question you will be asked is do you have x amount of money to pay z amount of people in the area you will contest in – you do? Great. You don’t? Sorry, can’t join the party to run for a seat. Then ofcourse you have to have your goondas around you to protect you against other party goondas. Its all money and thuggery. Very long democratic tradition indeed. For Sri-Lanka’s very long democratic tradition, one needs just to talk to former presidential candidate Fonseka, or the recently sexually assaulted Premkumar. Or even the dead dogs outside the TNA residences before the elections in the North. Perhaps the beating by army soldiers on the TNA members and their bodyguards for holding a private meeting is the best example of a very long democratic tradition. What is perhaps the most laughable part of this article is that it keeps talking about the “Imperialist forces of the US” against India and Sri-Lanka. Yet ask the average Sri-Lankan or Indian if he would tear his flag for a free Green Card to the US and he would do it in a heart-beat. The US is the paradise land for the Indians – if you work in the US and go back to India to work, you are treated specially – you are given higher positions regardless of lesser qualifications and experience. Having been to the US to work or possessing a Green Card or US citizenship is like a status symbol in India. Gotabhaya, Basil and a majority of the Rajapaksa family are US citizens. Fonseka is a US green card holder and his daughters live in the US. Yet they work up the poor masses to fight against the “US Imperialist forces”. This is not a “Very long tradition of Democracy”, it is a “Very long tradition of Hypocrisy”. Srilanka has discarded at once, the lifeline given by India, as useless. Instead GOSL will rely on the lifeline support of sinhalese fundamenalists and reliable back up of superpower china. I understand that DBSJ tries yo keep the balance right by posting diverse views in his blog. But articles such as this one is a complete waste of space. Americans never follow democracy or Human Rights or Geneva Conventions when their so called “AMERICAN INTEREST” come first. In the last 70 years USA never treated India as a friend. But the Indians are always crying for America. Once an American quipped “a green card to a son-in-low of an Indian politician” will change the Indian policy. Gota and Basil are US citizens. The people who vote for them must question this “American connection” of Rajapakses. What is the American concern over Sri Lanka? China, China and China. No human Rights. Sooriyasegaram is a pseudo anti-imperialism slanderer. Having lived in the UK for decades, he is unable to rationalise how the west respects their own commissioned reports and consider them as part of good governance. His anti-imperialism ranting is a known fact and this has been further oxygenated with his employment with Paramilitary Douglas Devananda’s blessed company Euroville Ltd. The March 2012 UN resolution is the extension of the Geneva 2009 resolution. 2009 Sri Lanka favoured Geneva resolution said there will be an internal process of reconciliation and a political resolution to the conflict. But nothing materialised, except for verbal ranting under military dictate on the nasses. From there on, the President in desperation got his own LLRC report to deal with the issues taken up by the international community. He is still not owning his own report that was produced by his own Commission. The 2012 Geneva resolution asserts that LLRC recommendations must be implemented and it is an extension of the 2009 resolution. What we want is a reconciliation through a thorough process. Both government and the LTTE have caused so much harm. Having said that, the LTTE is the product of the failures of Sri Lanka that is still failing to address the very root issues yet. It is only stirring the pot still and its effort has extended now to ridicule the international community. Under the hyphened claim of taking cover under the controversial ‘Sovereignty’ slogan governments cannot let loose a violent regimes against its people. ‘Sovereignty’ has its limits and Hitler is the testimony that produced the UN to have a checks and balances on misbehaving sovereignties. Soori is just playing his pandu’s without mature thinking and with his usual ranting without realising the today’s world is different from the day before yesterday’s imperialism and yesterdays two super power states dictates. Instead thinking Soori likes must take a step forward but unfortunately it is difficult with the conditioned minds. To understand the sinhala politicians! SooriaSegaram is confused what is democracy! Majority rule is only one part. Whatever you may say, the fact remains that the SL government is very popular today with the masses. How long do the Sinhala/Buddhists need to manufacture a home grown solution with Southern consesnsus? Perhaps another 2,500 years would be sufficient for another Vijaya to visit the island and democratise it from a Aryan perspective. The tone of your article suggests that Tamil speaking people have been and are the obstacle to any solution. Are they really. He had plenty of time before and after the war. In the past 7 years MR could have done what was required for the sake of the country. Neither appealing to him nor appeasing him will work. Please stop questioning his judgement and start questioning his intentions. I would very much appreciate if you could clarify his intentions. Even though they are trying to become a regional power their begging mentality will never go from them. Indeed. Just like Hitler was very popular among the German masses, and the North Korean Fatso is popular among the starving North Korean masses. You know what is common among all the three? – absolute control over the masses, especially the free flow of information. That is why quacks like Mervyn and Weerawansa look like PhDs to the masses. How many of the masses do you think are aware that the majority of the Rajapaksas are US citizens and that too that they are naturalized, i.e., they held up their hands and took the pledge of allegiance to the US? I don’t think even Weerawansa or Mervyn knows what “naturalized” US citizen means. The current SL Regime has an iron grip on the media and has abused the use of state media resources in elections aswell, especially the presidential election. Ask yourself this – if the roles were reversed and Fonseka had absolute control over state media and used it in the presidential elections like Rajapaksa did, do you think Rajapaksa would have won? Not a chance in hell. Only important point we can pick up from this article is that India supported the UNHRC resolution as it did not want West’s meddling in South Asia. That may be correct. Because this resolution calls for a local investigation on human rights violations, where as the UN panel report called for an international investigation. Now that even Darusman led panel had welcomed the UNHRC resolution the call for an international investigation is almost gone, that means an avenue for the West’s intervention in the region is blocked. But the fact remains as to whether the West’s leader, the US did not realise this when it brought the resolution. Americans did not want to bring about this resolution but instead wanted New Delhi to take the leadership on Sri Lanka. But a spineless Delhi administration consistently shied away from the regional-power’s responsibility and thus the super power was reluctantly compelled to take charge of the situation. Upon doing so at the highest levels of the US government the Americans quickly garnered enough support in back-room deals in world capitals for a majority vote – and the US had the votes well before going to Geneva, and knew it could pass the resolution, with or without India. The author’s assertion that India has done a great favor by the island by changing some of the wording is way over-blown. In reality the Americans were tough in the negotiations with the Indians, allowing changes to appease New Delhi while cognizant that the Indian vote would have more than a mere arithmetic value. Within 24 hours of Geneva, the US administration relaxed defense procurements by Colombo – read this as a carrot in the newly invoked carrots-and-sticks strategy by the Obama administration. What the Americans have done is, show that they mean business, by converting their warning behind closed doors to actions. The demand is clear: re-democratize (via LLRC recommendations) and find a solution to the ethnic problem, or face severe consequences (the big stick being war crime charges). GL Pieris will get this message from the State department in non-ambiguous terms when he visits Washington next month. While Colombo will be given ample opportunity to save face the Americans will demand results, a lot sooner than the 12 months given. If there is continued defiance or attempts at further weakening of democracy expect the sticks to fall much faster. Colombo asked for it by its non-democratic actions and avoidance of solutions, and India asked for it by disowning its regional-power responsibility. The author’s characterization of America’s actions as “imperial” only indicates his total lack of understanding of American’s ideology, values and strategic interests. One must not forget that it was India that pushed Sri Lanka in to the water before throwing the life line.It could be just a straw rather than a life line. Also one must not be foolish enough to believe that the US will get off Sri Lanka’s back even if the whole LLRC is implemented tomorrow. Don’t worry M.Sivanathan- it’s not just you that is concerned about western double-standards and hypocrisy but it is also a subject matter which interests western citizens as well. However unlike gangster Sri Lanka, the westerners as a whole permit free debate and exchange of views which is why when the former UK foreign secretary Robin Cook resigned from govt after 2003 decision to invade Iraq, he was hailed by many people in UK for defending free speech instead of being labelled ‘anti-national’ or a ‘traitor’ which would have happened in civilised Sri Lanka. It describes how ex-US President Richard Nixon called Indian Prime Minister Indira Gandhi an “old witch”, according to recently released documents from the 1970s. His national security adviser, Henry Kissinger, said “the Indians are bastards anyway” in the run-up to the India-Pakistan war of 1971. Therefore why is M.Sivanathan making nonsense statements that India and USA were always friends? American concern also comes from the fact that Mahinda was brazenly lying to them towards conclusion of civil war in 2009 when he made various promises to Western leaders to implement 13th amendment and actively bring about reconciliation. 3 years later the SL govt has achieved nothing of the sort whilst having free time for stupid Commonwealth games bids and for Mahinda to make unneccessary foreign trips to Oxford Union. These same nations and India are therefore reminding Mahinda about keeping some of his promises and gently warning about the consequences of inaction. Lying is part and parcel of politics and everybody does it.They do it too,remember WMD’s,Dossiers etc. Our thanks to DBS for providing this article which is very hard for Tamil racist to accept. The EELAM war 4 was initiated in July 2006 when the LTTE closed the floodgates of Mavil Aru as to teach a lesson to Sinhalese. They were confident that they would teach the PRESIDENT RAJAPAKSHA a lesson. And Prabhakaran once said its a day dream of Rajapaksha to enter to Kilinochchi. Tamil racists like Rajah, Chelliah, Native vedda and Ramanan should know that The president you are talking about has already taught lessons to your god father and now he may enjoy his life in the hell. It is shame on Tamils who are talking about human rights and accountability now, while kept their dirty mouths closed when LTTE was keeping their own people in hostage as a shield. LTTE used your people as sand bags. Isn’t it Tamils? 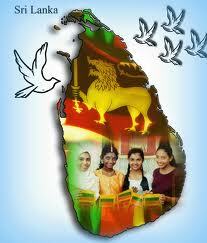 Time has come for Sri Lankan people to defend the sovereignty and independence of our motherland. We are a nation who showed the west and tamil racists that we can do a lot of things which they cannot even think. How to defeat terrorism is just one example. There is a group of people talk about American intervention and compare the human right violations in Sri Lanka compared to America’s human right violations. This comparison is no valid because we do not compare the same. We should compare the internal human rights violation of America and Sri Lanka. In Sri Lanka, the human right violations of state are by the state and its machineries against its own people wheras in America you don’t find such violations. In Sri Lanka, the state that violates its law and constitution, not in America. I would like to make it clear for those who try to create an image that America is supporting LTTE and tamils. America always supported Sri Lanka throughout and even now it is supporting Sri Lanka indirectly. We all can remember that the America is the first western nation that banned LTTE and encouraged other European nations and UK to ban LTTE at a juncture when there was a peace process starting. The role of America and played in defeating the LTTE cannot be measured. However, the crimes committed by the Rajapakse regime and promoting China in order to threat India to undermine their role is the diliema that Sri Lanka is now facing. Even now America do not want to punish Sri Lanka, it wants to remove the regime that promotes China’s interest in this country against India and America’s interest. Rajapakse regime believes that anti indian, anti tamil, anti Americanism can be used to convince Sinhala masses and continue to rule the nation for life long. I am sure Sinhala masses are not fools. They should realise what happened in Irag and Libya. The author of this article is a man who should first advice his master Douglas to give up violence, abductions and murders. This should have been told to Sri Lanka by India very clearly and directly. Instead Manmohan went on apologizing to SL which is the most lame behavior I have ever seen. Too shame the media come in to shed some light for the importance of the voting. Pathetic Indian diplomacy. This man is a pseudo-socialist and his rants about imperialism is similar to that of those of the old left, who have jettisoned their socialist credo and slavishly support an undemocratic authoritarian regime now. Indeed Nak, here in UK we had our own criminals in parliament who were claiming money fraudulently from the electorate plus our former PM Tony Blair told so many lies that people now call him Tony Bliar. However promises made to foreign govts in order to encourage their support in war then reneging on them later is a big mistake that western nations are careful not let small countries like Sri Lanka forget. Yes Nak- and I still remember going on an anti-Iraq march in London with my best friend (and over 1 million other people) in 2002. At least criminal Bush and Bliar are no longer in power nor are their parties. The western govts need to make sure such nonsense as going to war with poor intelligence does not happen again as this damages their creditability and makes all the good work they do against rogue regimes like Burma, Iran and North Korea less effective. Hmmm I’m skeptical of this. I know his daughter Aparna wrote a letter to the White House but all the ammunition to move against Rajapaksa regime seems to have come from Channel 4 documentary and SL govt inaction to this. Also why was Jayalalithaa and Hilary Clinton meeting in Chennai last year soon after TN election? I would not put my trust in JVP utterings, they are not exactly the standard when it comes to rational action and behaviour. What are the differences between a pseudo and a true socialists? Change of governments ( UNP or SLFP lead) has always taken place.To that extent only Sri Lanka has been democratic. But changes in government have never resolved any of the fundamental social(including ethnic), economic and political issues of Sri Lankan people. So I do not see that anything will come out of another change in government unless a third (preferably socialist alternative) emerges in the foreseeable future. Exploiting the international pressure to drive the present regime, despite its poor record on governance, to implement the UN resolution (LLRC recomendations plus accountability issues) was the motive behind my article. In light of this I do not see the need for me to respond to any of the numerous comments, some of which are thought provoking while others are totally misplaced and /or of poor taste. If the government does not want to learn any lessons and is determined to commit suicide I am not going to have sleepless nights! The third alternative is definitely my long term perspective. I accidentally submitted my comments before I was ready. So I continue here. Most of the expatriate Tamils are proritising revenge against the war criminals as opposed to resolution of the issues, which lead to the war and the war crimes. If revenge seekers triumph with their narrow programme only then reconciliation, peace, democracy and good governance will become that much harder to achieve. It will leave an ethnically divided and highly polarised Sri lanka, which will make reconciliation longer and harder. Therefore agitation by all Sri Lankans for the implementation of the LLRC recommendations is what is crucial at this juncture. A government that concluded a 30 year old war at such a huge human cost must first address the causes of that war. The Truth and Reconciliation Commission, a successful model which worked very well for South Africa, never sought revenge, but a mode of unearthing the bitter truth from both sides of the divide. All such investigation should cover the period from 5th April 1971 to date. As you are an intelligent socialist you should not worry too much about unearthing truth. Truth will never hurt you but in the long term it will heal the historical wounds.